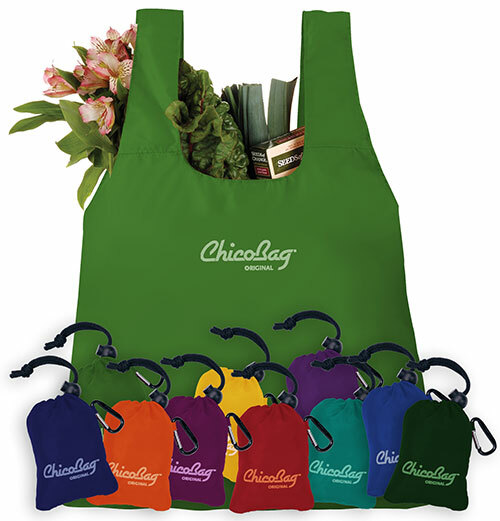 The unforgettable, ultra-compact, reusable bag that fits in a pocket! The ChicoBag™ should be part of everyone's bag collection. It's easy to store - it stuffs in and out of it's own sack & easy to remember because it has a carabiner that you can attach to your jeans or bag. Made of a strong, washable nylon this bag expands and holds as much as 20 pounds. Made in China with fair wage and fair labor. Capacity: Can hold as much as 25lbs!